C’est l’été and the Pastis sipping is easy, so let’s celebrate with a summertime flashback, shall we? Grab the books, baubles, and bathing suits because this week we’re Provence bound. One of my all-time favorite hot spots in the world, especially when the country brocantes are jumping and the lavender is high! I’ve added new tips and pics. Ready for lift-off? But first scatter around, all history bugs. I’ve got another royal tale up my puffy sleeve! 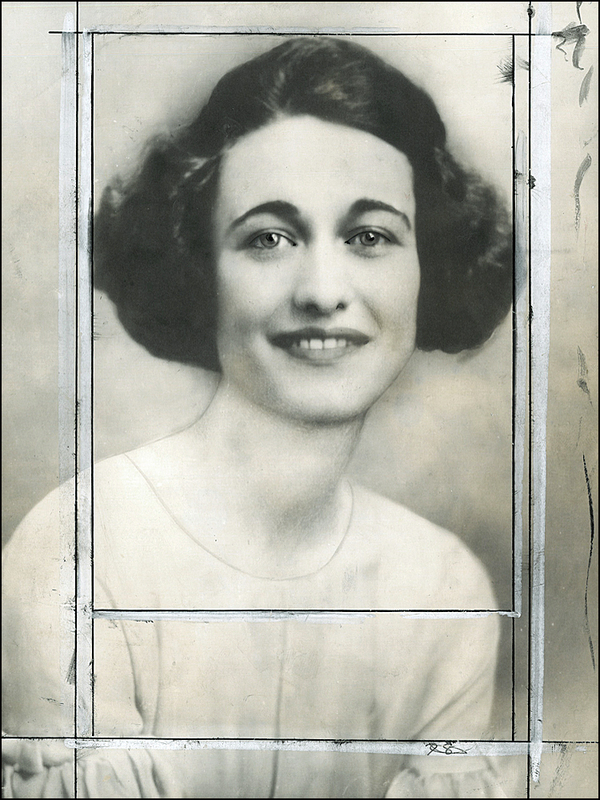 Pop quiz: Where was fellow Baltimore belle Wallis Warfield Simpson on the day of King Edward’s abdication back in 1936? 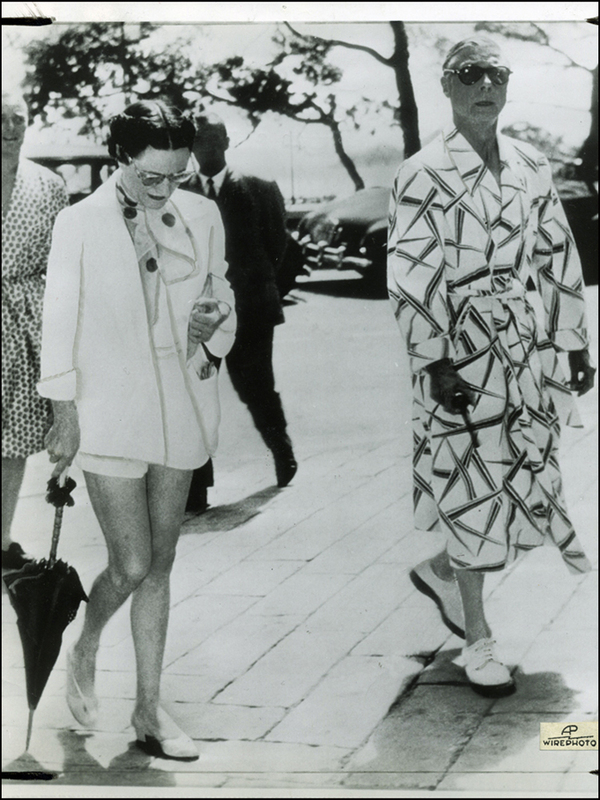 Here’s the scoop: While Edward VIII bid farewell on the radio airwaves, “Wally” and her stylish BFF motored to Grasse, inland from Nice, and toured the Molinard and the Bruno Court perfume factories. According to the newspapers of the day: “Mrs. Simpson Calm; Takes An Auto Ride,” was the zippy headline. Heck, I’ve had those days! Fully embracing flower power, lavender both soothes and re-energizes my spirits every time, transforming not only perception, but also attitude. I am a believer. In Provence, I once trailed a lavender truck flush with clippings as it slowly made its way to a distillerie les coulets (traditional lavender distillery), beaucoup miles out of my way because of its intense scent and the tranquil buzz it gave me. Designed by Gustave Eiffel, the Molinard factory in Grasse is still worth the journey. Located at 60 Boulevard Victor Hugo, the headquarters flaunts a swanky but cozy show room, outfitted with the Molinard family collection of antique Provençal furniture, perfect for cooling your heels after a long morning of sniffing it up on the town. Even Queen Victoria paid a visit to stock up on her beloved Eaux de Cologne. 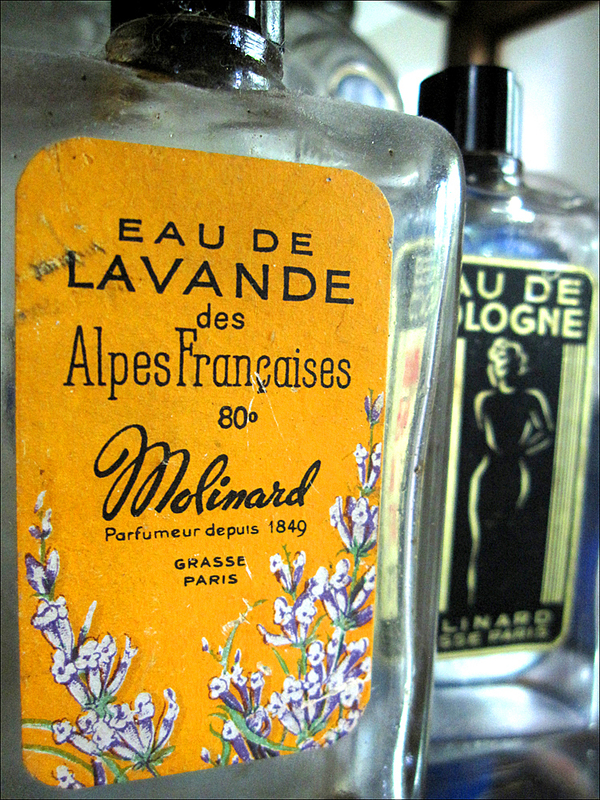 Here at Molinard, you’ll not only get an eyeful of their eclectic collection of vintage bottles, labels, and advertisements, but you’ll also learn how perfume is made in Grasse. For a small fee, they’ll even help you create your very own signature scent. Talk about being a queen for a day! My pick? It’s got to be Habanita. The powdery fragrance was created in 1921 as a product for flappers to scent cigarettes. Inspired by the sweet tobacco smoked by WWI Allied Troops, this leathery number with hints of lavender was re-launched as the real McCoy a few years later, coolly dressed to the nines with water nymphs by Réne Lalique. So wiggle on in your glad rags. Oh, la la. While touring in Grasse, I also recommend touring the Parfumerie Galimard and the Parfumerie Fragonard, along with my personal favorite: the Musée International de la Parfumerie Grasse. Tip: Hold on to your turbans! 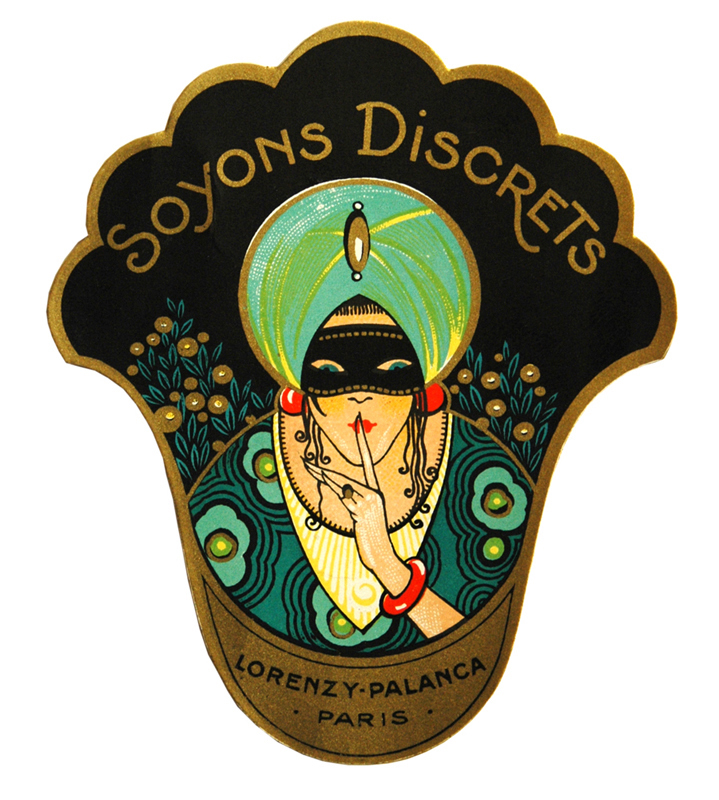 Designer Paul Poiret is in the spotlight at the Musée International de la Parfumerie Grasse. “Paul Poiret: Couturier Parfumeur” shines through September 7, 2013. Here’s the squeal: Paul Poiret (a.k.a. 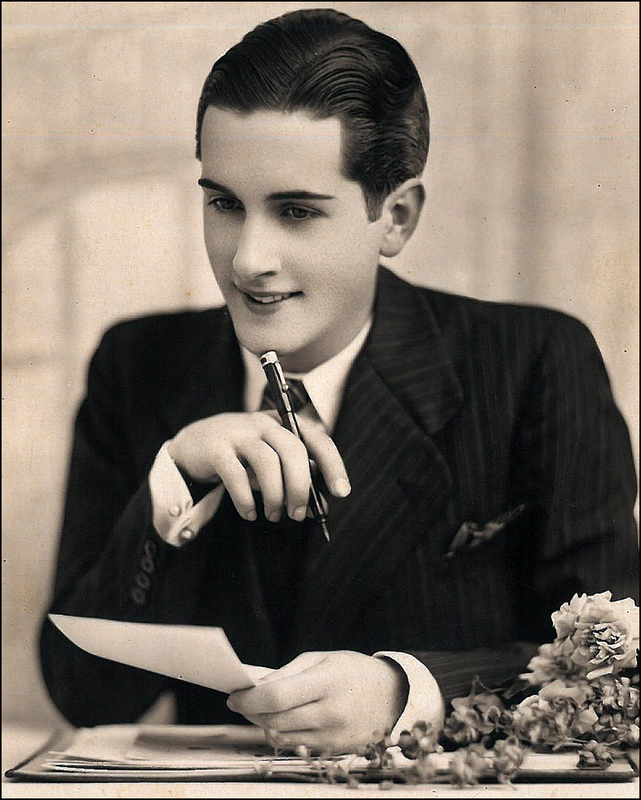 Le Magnifique) was the first couturier to create a perfume line. In 1911 he launched his “Parfums de Rosine” with a rousing Ballets Russes-inspired tented backyard shindig. Making leaps and bounds with the theatrical possibilities in garb, Poiret dressed his guests in his new “lampshade”-silhouetted tunics and silky “harem” pants. And thus was the birth of loungewear! Ahead of the curve, yes, but it still took awhile for the jupe culottes to catch fire, not hell. “Unladylike,” the critics cried. When the rebelling fashionistas were first spotted sporting such duds in Paris, near riots broke out, according to a 1911 New York Times story. Fast Forward: Now throw on your hot pants and let’s take a spin around Provence. Time marches on! Makes me want to join you, but maybe without the hot pants! Thanks for the giggle, Roger! Here’s another interesting tidbit about Wally. 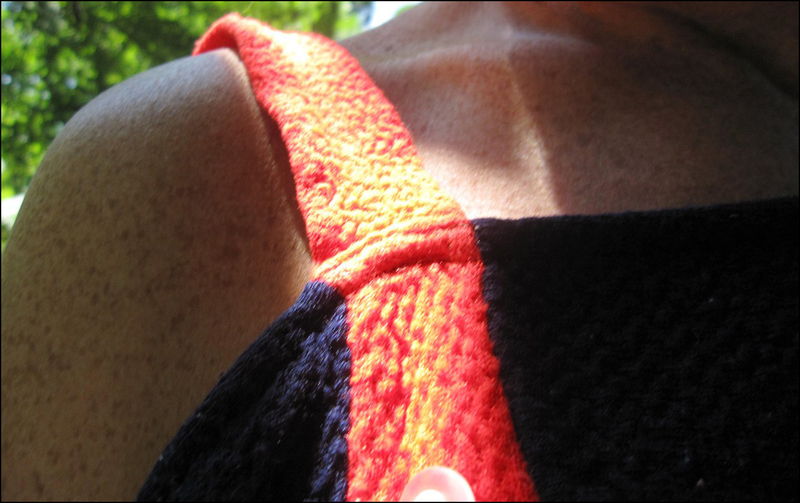 Guess what she wore to her 34th wedding anniversary? Yes, hot pants! “The Duchess of Windsor Wears Hot Pants,” was the splashy headline. Oh, la la. I’m green with jealousy. I bet the flea market necklace was a stunner. Here is one more for you on Wallis Simpson … Where did she honeymoon on her first wedding? That is correct – The Hotel San Carlos in Pensacola Florida. She was married to a Naval Officer who had just received his wings at Pensacola Naval Air Station. They also had their wedding reception at the San Carlos, also. Great post!! Frank, thanks for the interesting tidbit! The Hotel San Carlos (a.k.a. “Grey Lady”) was a beauty! When it was demolished? Boo. Hoo. I found your father’s 1940s photograph of the hotel on your site. By the way, I love your photographs! And here’s one with the Christmas decorations. I think it was taken during the 1950s. I was lucky that my host-mother took me to Provence to spend a weekend with her daughter – it’s really a place like no other and I’ll definitely go back if ever I’m in France again. 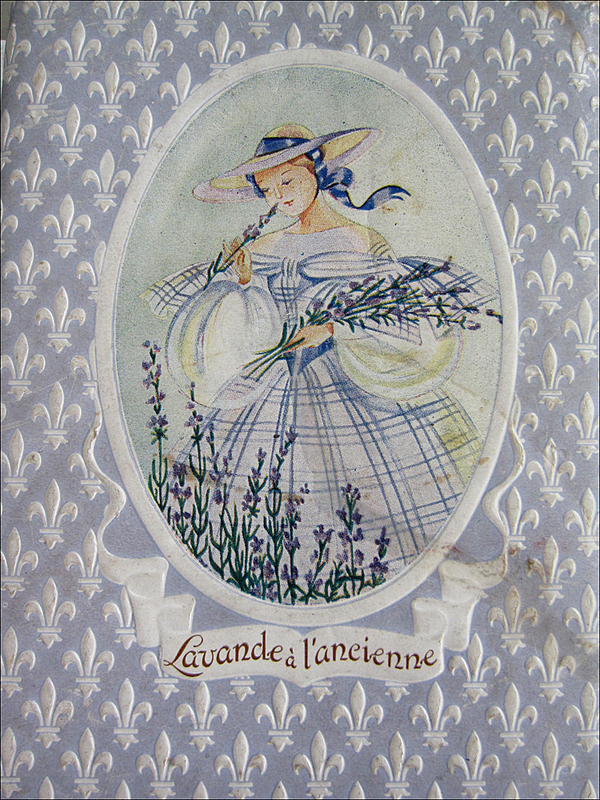 The lavender is quite magical – to the eyes as well as the nose! I have a bit of a fascination with the Duke and Duchess of Windsor. I read a biography and saw W.E. (which was pretty good, actually) – and still have no real idea what kind of people they were and what exactly brought them together. Lots of strange stories and myths. YES. I am hooked on lavender! 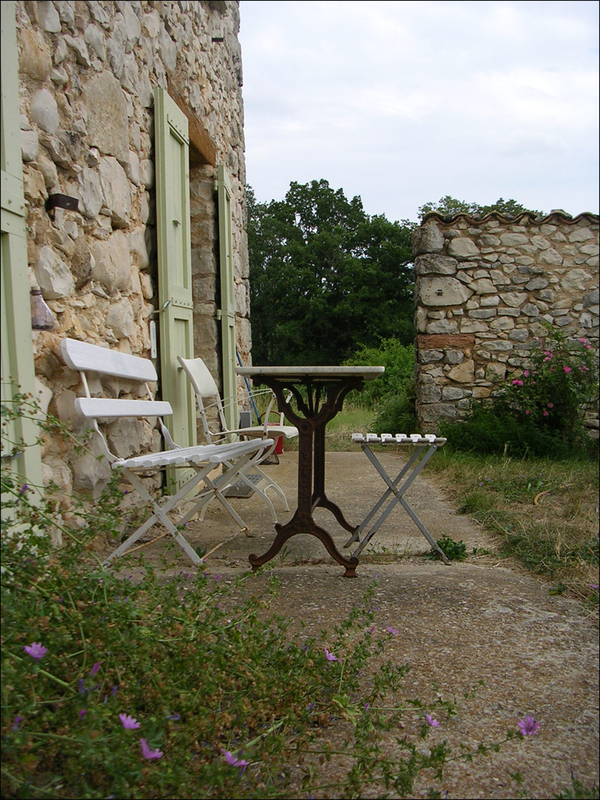 Where did you stay in Provence? And what did you think of the Madonna’s W.E. film. I really wanted to LOVE it. Perhaps I should watch it again. Thanks for the push! T. Merci!! It was a fun post to create. I thoroughly enjoy sharing my obsessions. Stay tuned for a post about my new beauty friend: French Green Clay! T.
P.S. Tomorrow’s post–pictures of Coquette Patisserie’s offerings at Saturday’s market!! You asked for it, you’ve got it. Janet, thanks for motoring along with us! So you have lavender plants? Wonderful! Do you have any lavender recipes? Later on today, I’ll trek on over to your Coquette Patisserie! YES. This little piggy loves your trips to the market. I’ll trap a link for everyone. P.S. Thanks for linking to Coquette. Marvelous Market Macaron shots, Janet! 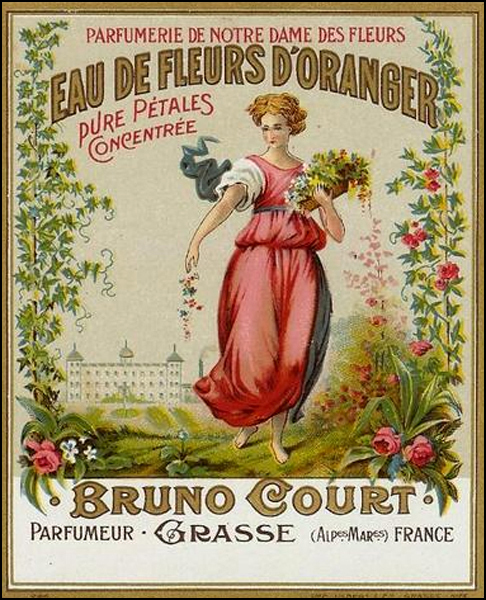 T.
Wonderful post – just makes me want to find out more about the perfumes! Also love the archival photos and the history lesson. Tempted to be catty and say that Wallis and Edward got their outfits mixed up…. Thank you! By the way, there’s also a Fragonard Musée in Paris, just a hop, skip and pirouette away from Opéra Garnier. It’s free. The gift shop is also fantastic. Here they display more of the museum gems. They have one of Elsa Schiparelli (Wallis Simpson’s favorite designer!) candle-snuffer-shaped number called “Sleeping,” created in 1938. And speaking of Wallis, I dig their smashing outfits! I think the polka dots work well with lines. Striking, I think. Comfortable, too. Did you spot the parasol? Love the parasol, and have to admit that I was so smitten with the outfits, I went out and bought 2 pairs of white/ecru linen shorts! Thanks for the inspiration! Hope to check out the Fragonard Musée someday. Great tip! Ah, thanks, Thea! I loved your thoughtful words. I’m sorry to hear about the lavender void. I guess it’s possible to order the essential oil? I know! I know! It’s the same. However, it’s perfect for the pillowcases and beauty sleep. Each night, I sprinkle a drop or three for easy, breezy sleeping. Works like a charm. Thanks to the Tin Man, I’m now interested in violet water. I’m now on the hunt for a recipe. Enjoy your summer! I’m really looking forward to hearing about your new adventures! YES. The Tour de France! 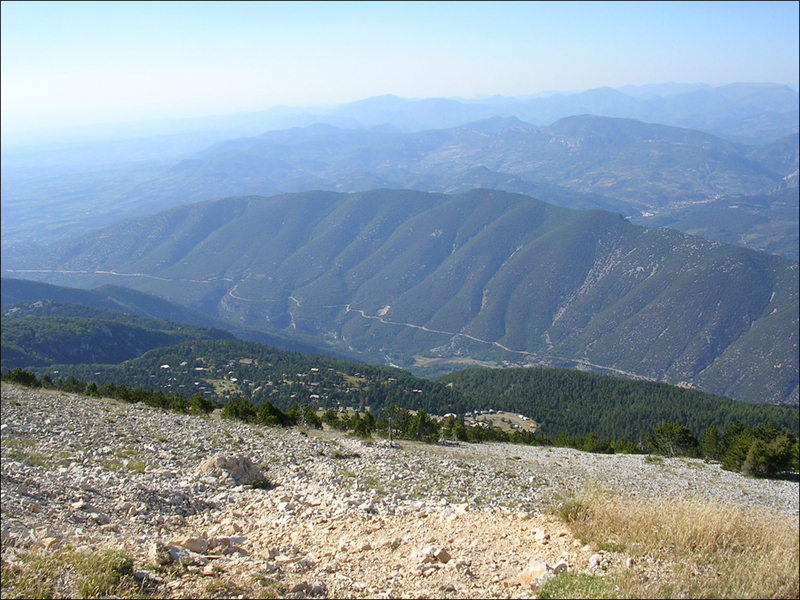 In celebration, I added a banner shot of Mont Ventoux, taken at the top. No, I didn’t bike there. But let me tell you, it’s one (two! round trip) scary car trip. Especially the downhill coasting! My knees trembled. Entrecasteaux! Did you ever create a post with your photographs? Let me know. Did you make it to Grasse? I think you did. Maybe I’ll follow in Edith Piaf little sparrow footsteps and retire there one day. I’m also a big believer in lavender! Do you have a favorite brand? Favorite recipes? I’m now obsessed with French Green Clay. It’s great for the feet, hands and face. I’ve been adding olive oil, rose oil and lavender oil. Stay tuned for the post. And YES. I always add herbs de Provence (savory, fennel, basil and thyme) to my roasted chicken. Heck, practically every dish in cuisine repertoire gets the HDP treatment! Truth be bold. T.
Green clay is my absolute fave for smearing all over my face. I’ve tried French rose clay & it doesn’t have that same effect…though you’ve given me a great idea to use it on my “beach feet”. Evan Healy has a wonderful (organic) skin line with a lavender cleanser, lavender hydrosol for a toner & (yup!) a green clay mask. I used the hydrosol so liberally that I started making my own. There’s a handy youtube video on the subject. The only thing, you need a brick & a lot of ice. I have no lavender water ………..however, I do have violet and have run to splash over the entire house and skip about in delight. I shall ring up Wally and go for a quick motor in the country throwing lavender flowers from out convertible………….sipping on champagne and waving to the townspeople as they point and stare!! Delightful, dearest Theadora, just DELIGHTFUL!! I’m late! I’m late! It took some time to find you, Wally, and Virginia. Pleased as punch the three of you decided to stop a café for a roadside moveable. There you are! And YES. Everyone is staring and requesting your autographs. You look divine. ‘Smarveous! Wonderful, too. In my bucket bag, I have another bottle of champagne and a pound of cherries. Let’s hit the road and the countryside brocantes like there’s no tomorrow! T.
My name is Elsa Schiaparelli and I approve this message! In 1931 “Schiap” designed a darling and darling silk tennis outfit with a divided skirt for the Spanish tennis player Lili de Alvarez. The English press hated it! However, it didn’t stop Lili from wearing the garb. She even donned it at Wimbledon! T.
Oh, you would enjoy researching Elsa Schiparelli’s work. She’s one of my favorite designers. Like our good chum Marie Antoinette, she was also a big time fan of wigs. She even re-introduced the bustle! Schiap collaborated with artists Dali, Man Ray, and Coctea-just to name a few. Wally was definitely a woman before her time but where would time be now without her! Hot pants and Grasse, fabulous! Thanks, Patti! YES. Wally loved clothes. Have you seen Cecil Beaton’s official “bride-to-be” photographs? 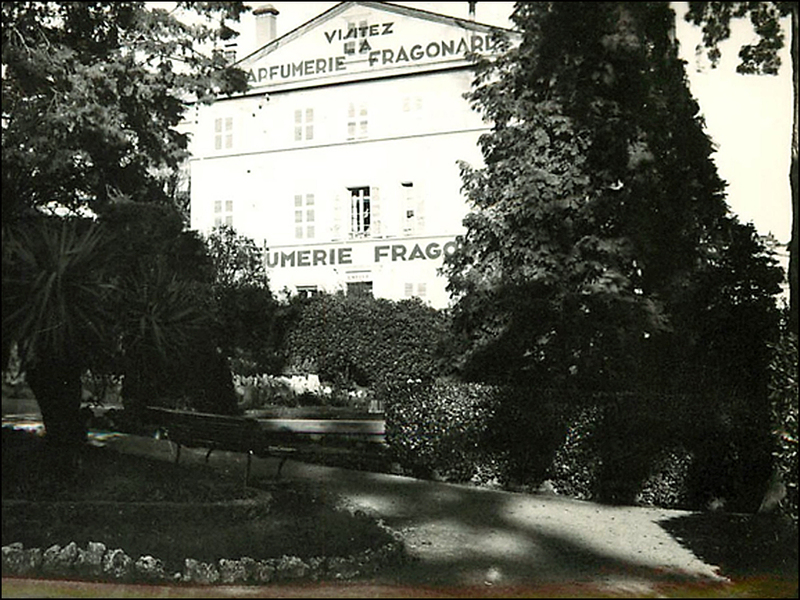 They were taken in 1937 in the lush gardens at the Chateau de Cande. The lighting is perfect! She’s wearing the infamous “Lobster Dress,” created by Schiaparelli and Dali. They’re lovely shots! T. (For the love of surrealism, Dali wanted to spread real mayonnaise on the gown. Lucky for all, “Schiap” refused to give the artist the green light!) I’ll try to dig up a link. Merci! And speaking of perfection, I added a banner shot of Mont Ventoux. Making the climb in the automobile, I passed a few bikers. Talk about rough and tough pedal pushing! T.
Thanks for making the sweet-smelling trek with us! Enjoy the week! T.
Sshh. I’m lifting a glass of Whispering Angel Rose (Chateau d’Esclans) in the direction of Province. I’m intoxicated with the perfume of these exquisite purple flowers – for I’ve harvested my field of lavender. I’ve filled the enormous basket on my white bicycle and I’m peddling frantically after the Tin Man and his lavender filled convertible. This is a parade I MUST participate in. We’re airborne – off to join Theadora. The deliciously happy triumvirate – T, Tin Man and me in Provence. So glad you caught up with us, Virginia! Oh, and thanks for bringing more bubbly. Park the bicycle and hop in the car we shall off to Paris to sup with Theadora! I finally made it, Virginia and Tinny! I’m right behind you in the art car and bike caravan parade. I’m in the shocking pink pedal pushers and ruby red bike! It took me awhile to find my sunscreen and black cat glasses and of course, more champagne, along with a basket of cherries. I did the picking. Perfection. Perfection. Whispering Angel Rose (Chateau d’Esclans) is an excellent choice! I’ve also packed lemon water. Maybe we’ll look for penny-sized ammonites as the sunsets?! T.
I just loved, loved, LOVED this~! You always take my breath away with your wonderful posts. Ah, Lanier. I really wanted to never, ever leave the Molinard Factory. It felt like home, inside and out. I got chills. I fell hard for the place. The gift shop also has an impressive library. Say, do you have a favorite Molinard scent? Big hugs, T.
Oh, Lanier. How did I miss your Molinard post?! What a razzle-dazzle of a review. Molinard Homme II sure packs a potent punch, I’d say. My favorite line: “A little behind the ears and you will be drinking champagne from the slipper of Jane Avril at Moulin Rouge.” Sweet and sensuous to boot. T.
You my dear are a sweetheart… I am growing very fond of you of late! It’s been too many years since I visited that area — one of my favorite places. Thanks for giving me a little armchair tour — I can breathe that lavender! Well, thank you for making the trip with us! We really lucked out with weather, yes? The blue skies, sunshine and lavender were on our side. What a day! Do you have a favorite village? T.
Oh, so many. I stayed in Bonnieux for a week once and quite liked it. I didn’t get much time in Lourmarin but I’d love to go spend more time there. Love Gordes although I liked it even better when the Vasarely museum was still there. What’s your fave? YES. Bonnieux, Gargas, and Apt are on my list of favorites. It’s great to visit during the summertime. It’s so easy, breezy to hop from village to village by car. The outdoor country brocantes are everywhere, stocking with interesting and affordable treasures! T.
One of the best weeks of my life was spent in Menerbes. We thoroughly enjoyed the Roman sites in the area too. Ménerbes! Lovely land. I’ve stayed in nearby Apt. I loved it there. Yes, there are beaucoup Roman sites in the area. The Pont Julien in Bonnieux took my breath away. Good. Golly! T.
Fabulous post – Provence is such a magical place and who doesn’t love the fragrance of lavender! Thanks, Kim! Have you created a post on lavender? T.
Great post! Informative and lovely photos. 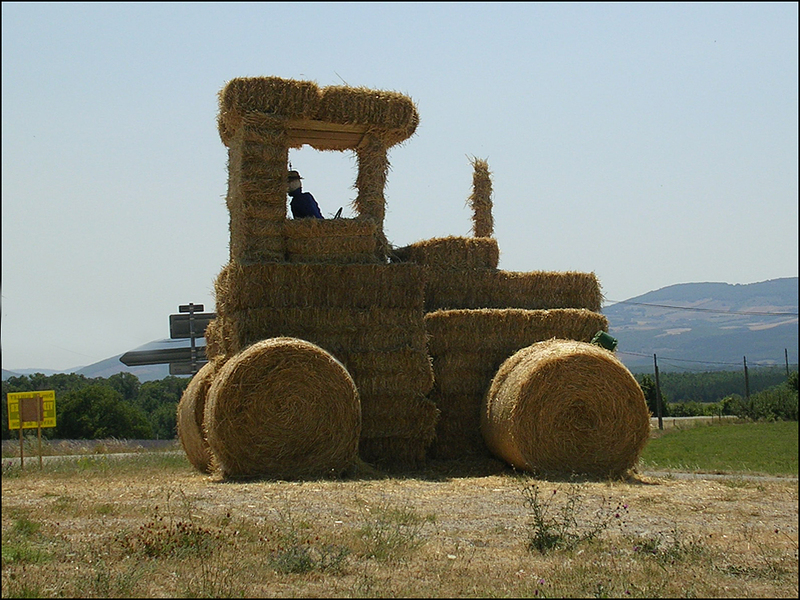 I need that straw bale tractor in my life! !…..and I know I would have been one of those fabulous rebellious women! Ooo would love to have seen that. I am a big fan of Mr Poiret and Elsa…..love The Twenties in general. MERCI. 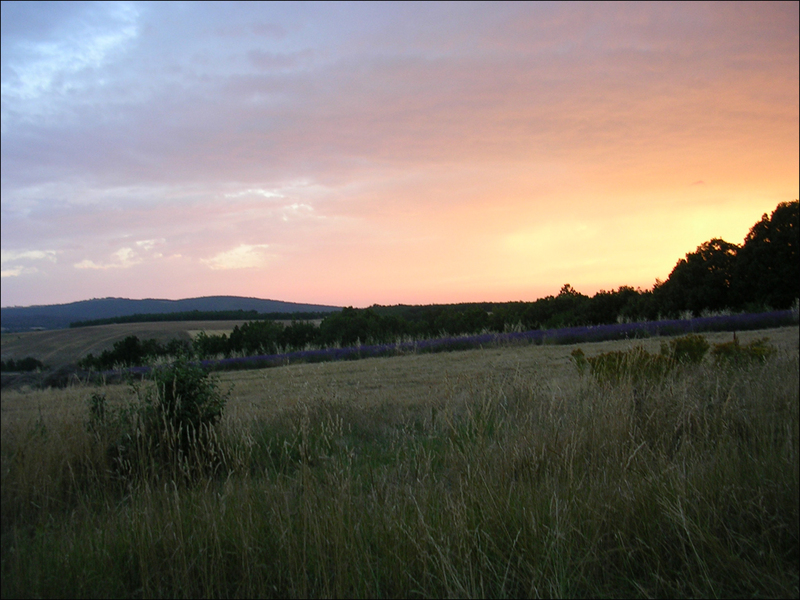 Provence is also the perfect place for early morning and late evening running. Magical, indeed. Lucky you! 🙂 T.
My wife and I spent one of the most magical months of our lives in Provence several years ago. It almost seems like a dream now–driving through the lavender fields to visit village brocantes, with the air perfumed and mountains in the distance. Eating meals at outdoor tables just like the one in your terrific photos. Riding bikes to little country shrines. Everything felt so clean and clear and simple. Thanks for bringing back those sweet memories. I’m sooo looking forward to going there with her again someday. Martino, thank you for such a lovely description of Provence! YES. YES. YES. The brocantes are wonderful. They’re everywhere in the Provence during the summertime months. Even during the weekdays! Did you fossil hunt? I’m sure you did! T.
Ahh, a weekend in the Provinces looks fantastic! Pictures like this almost make me want to leave Paris for more than an hour! Merci, Paris Paul! It’s difficult not to take a pretty picture in the south of France. YES. YES. Make time to visit the south. Great brand-spanking-new inspiration for your “Where is it Wednesday” pop quizzes, I do believe! T.
I’m with you. Keep following the tractor! Inhale. Exhale. . .
Wow, T! What a great post – love the idea of creating a signature scent (with a little professional help). But can’t imagine what it would be. Love your photographs and the nostalgia clippings – really atmospheric. 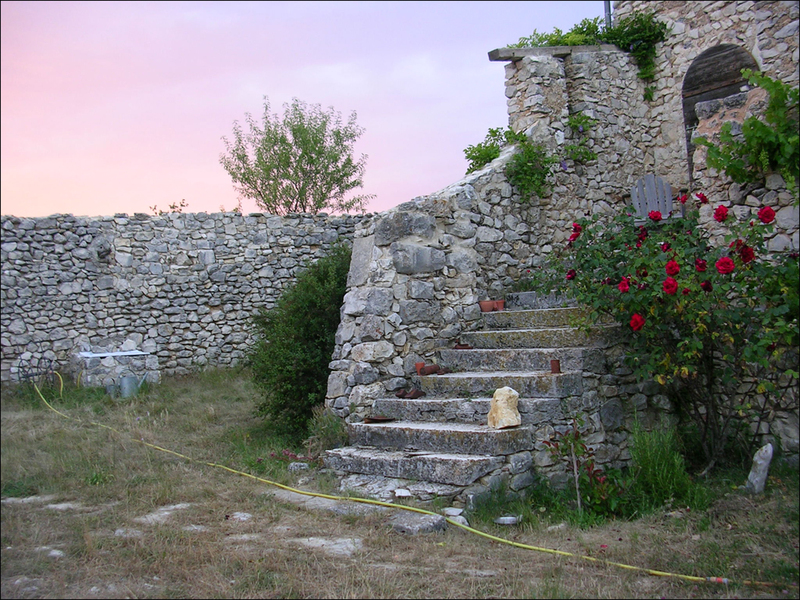 Has Provence survived the English invasion of the eighties? We’ll make our first visit to Provence next spring. After reading this, I’m more excited than ever! ..just love some of your vintage photos…! Provence and the Tour de France? I couldn’t wish for more – am avidly watching Le Tour from here in little old NZ and loving it! Can’t wait for the Mont Ventoux and Vaison-la-Romaine stages to take me back there, and to remind me of what I can look forward to next year. Love your story about the lavender truck and will definitely take in Grasse if we can. Excellent tour, Mlle B.!!! 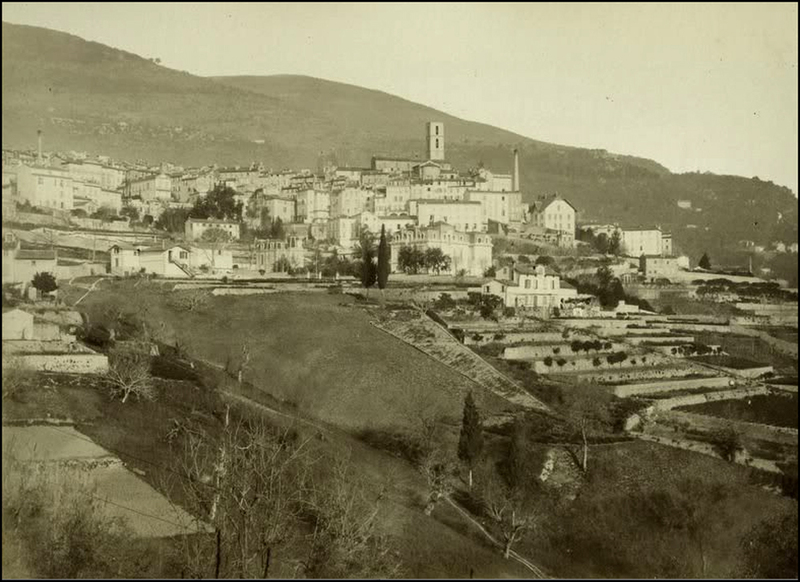 Love all the archive images, but your shots of Provence take me back to 1982, when I visited (very) briefly, beforee taking the TEE back to Genova. 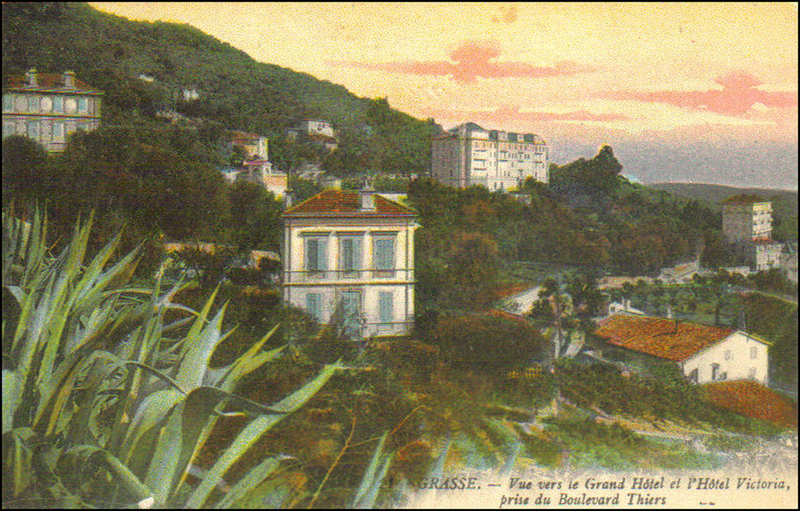 I was stopped at Ventimiglia, and told by the conductor/passport inspector, “Vous etes une etrangere, Madame.” I replied, “Non, Monsieur, je suis une Americane!”, and haughtily lifted my chin as he dug out his thick book to see if I was on the ‘wanted’ list! Merci beaucoup! In a shaker, combine the lemonade and liqueur. Pour into a sugar rimmed glass. Martini glasses work nicely. Enjoy! Old Southern Georgia recipe, much nicer than any mint julep at the Kentucky Derby..
What a lovely post! I’d sure like to see that Molinard factory. There are L’Occitane en Provence stores in Chicago. They carry lovely lavender scents. I favor their lemon verbena liquid soap and lotion. You are such an incurable romantic, Thea! Those two romance I one will live forever in our hearts as a testament to the “against all odds” kind of relationship. We went to Grasse last summer. We got there by rail from Cannes. Don’t you find the public bus so colorful and ridiculously unique? And all those perfume museums! How fun is that! My hubby suffered through it though. His nose is a little sensitive to these scents. He had to sit out in the garden after a quick tour so his Jose would stop itching. Great post! I always thought the story of Wallace and Edward was interesting but I love how you put it against the backdrop of France. BTW, just wanted to say thanks for the follow on my blog. Interesting history. I love the thought of following a truck of lavender up the road too. I must check out the lavender more closely in the Texas Hill Country. Delightful post! You do take us away! Wow short shorts! Love the landscape pics. BTW….T…..come by my new novel … Thirteen Angels on Amazon and leave a comment if you think appropriate. Congrats on your success as well. Absolutely LOVE your choice of pics, Theodora. Always such wonderful posts! Okay I give – where the heck are you? Thought I might have missed a post but it looks like you’ve been doing other things. ..